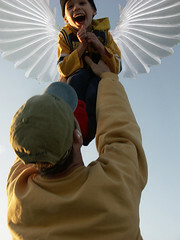 Giving Our Angel Wings to Fly...: YUMMY raw candy! Grind 1/4 cup of sunflower seeds in food processor and set aside in small bowl. Grind sunflower seeds in food processor until fine and add raisins, add to a bowl with honey and sun butter and mix well. Roll mixture into balls and then roll into the extra bowl of sunflower seeds to coat. Put in refrigerator to keep, much better to eat after they are firm!